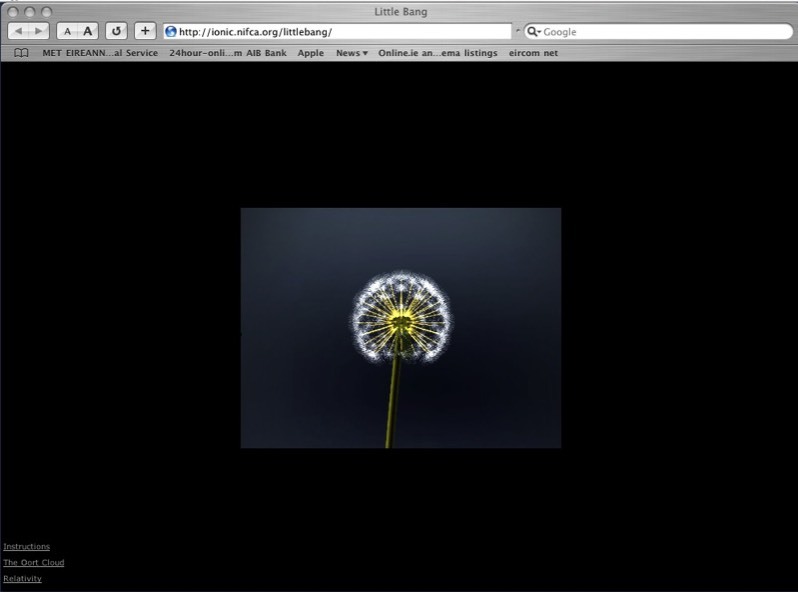 Little Bang consists of an dandelion clock on an online gallery. 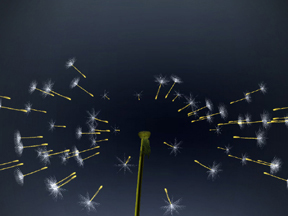 Highly responsive, you can interact with the dandelion clock and make it rotate with a horizontal drag of a mouse. 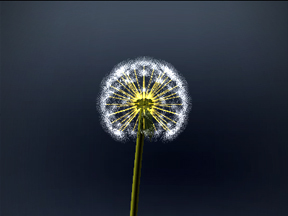 Drag the mouse across the dandelion and depending on the rate of each participants spin, the seedlings disperse to form a relativistic 'solar system' slowly orbiting around the clock head. 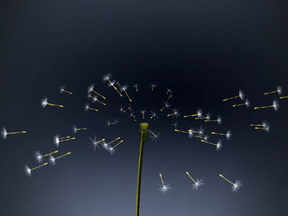 By dragging the mouse in a downwards direction, the mass of the head gradually increases and gravitationally attracts the seedlings to form tighter orbits until they are sucked back onto the dandelion’s head. 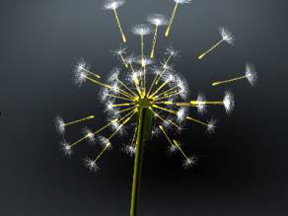 Commissioned by Rebecca Gordon Nesbitt for NIFCA, The Nordic Institute for Contemporary Art, Helsinki, Finland.